The mere thought of visiting China sends my travel senses into a frenzy. From modern cities juxtaposed with ancient temples to old atmospheric canal-side streets fringed with food stands serving up mouth-watering xiaolongbao, China is one place where you’ll never cease to get your fill. The problem comes with nailing down what to do in China. It’s not as simple as hopping onto a train and zipping off to any destination you want in mere hours (umm, hello Korea!). Distances in China are huge and the cities diverse, more like a continent onto itself rather than a single country. Naturally, with just 10 days in China you need to realize that you’re not going to see it all. In the grand scheme of things, very little in fact. But that doesn’t mean that you should give up on the dream. Do I need travel insurance for China? In a country that spans as far and wide as China, any attempt to generalize—well, pretty much anything!—is doomed to fail. Sorting out the best time to visit China really depends on the region(s) you’re tackling. Since this China itinerary sticks around the country’s more temperate areas, I’d suggest visiting China in either spring or fall. Temperatures during these seasons are more reasonable than in the dead heat of China’s hot & humid summers. If you manage to catch these seasons outside of local holidays, they’re also a tad quieter than in the summer and can sometimes offer a better selection of accommodations at better prices. Like any destination in East Asia, it’s a good idea to take out travel insurance for China. For the best protection, be sure to take out a policy that includes things like medical care, lost & damaged baggage, trip cancellation, and lost & stolen gear. Finding a travel insurance policy with good medical care coverage is particularly important. If you encounter a medical emergency in China and require hospitalization, you could end up paying quite a bit out of pocket if your coverage isn’t extensive enough. Although the quality of health care in larger Chinese cities (for example, most of those covered in this China itinerary) is generally good, travelling to remote areas may put you more at risk. In any case, it’s smart to take out a travel insurance policy that includes medical evacuation for serious emergencies. Looking for good travel insurance for China? Travel insurance from WorldNomads.com is available to people from 140 countries. It’s designed for adventurous travellers with cover for overseas medical, evacuation, baggage and a range of adventure sports and activities. Like many destinations in Asia, it’s generally not-so difficult to find an Internet connection while travelling in China. Well, for the most part. In major Chinese cities, free WiFi is ubiquitous, available at most decent hotels and, when you’re out-and-about, in many restaurants and cafés. Just don’t expect overly fast speeds. Free public networks, like in many places around Asia, tend to draw many users who put a strain on the available bandwidth, often slowing down your connection in the process. 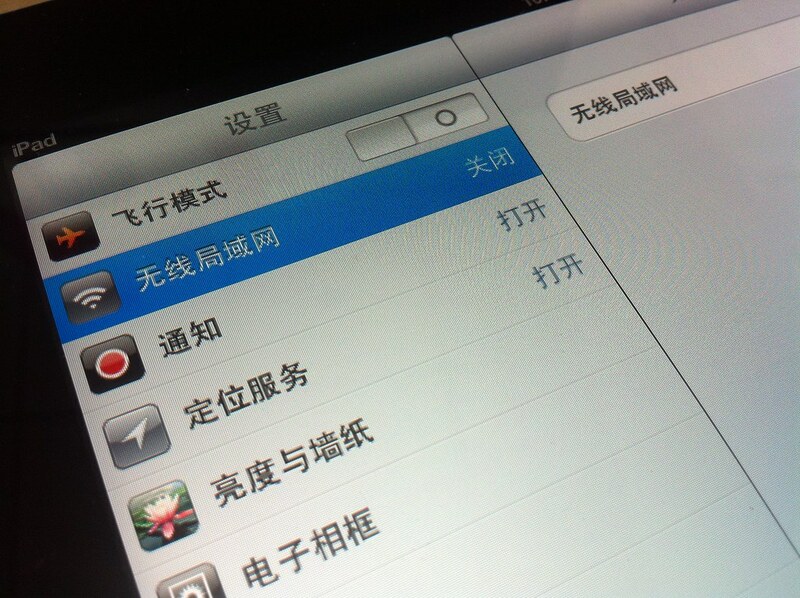 Want a better option than relying on slow free WiFi in China? Rent a 4G Pocket WiFi device for China! The device allows you to use up to 500MB of data per day at 4G. It’s available for pickup at various Chinese airports including Beijing and Shanghai as well as at other destinations in Asia including Singapore, Hong Kong, and Taiwan. And now, onto the massive elephant in the room: the Great Firewall of China. Fortunately, there’s a solution. Using a travel VPN can get around these restrictions and allow you to get on sites that would otherwise be blocked. Need a fast, secure & reliable VPN for China? With thousands of servers all around the world, NordVPN offers blazing speeds and uses Double Data Encryption technology to protect your most precious data and let you browse anonymously. Guidebooks: As a backup (and extra reading material), I always carry around a paper guidebook. 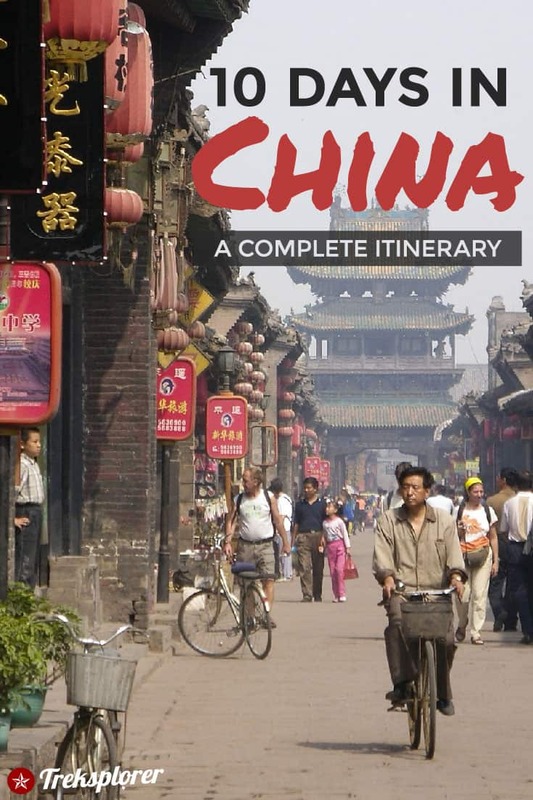 One of the most comprehensive guidebooks for the country is Lonely Planet China. City guides like Lonely Planet Beijing and Lonely Planet Shanghai are great for digging deeper into the cities. Phrasebooks: It’s inevitable that you will experience (a massive!) language barrier in China. In a pinch, a phrasebook like the Lonely Planet Mandarin Chinese Phrasebook will help out immensely. Language learning resources: Of course, trying to communicate in a tonal language like Chinese can be difficult without hearing it. If you’re interested in learning to communicate better, I’d recommend the audio-only Teach Yourself Get Talking & Keep Talking Mandarin Chinese or, for a more comprehensive beginners’ overview, Teach Yourself Complete Chinese. To come to grips with the written language, Teach Yourself Read & Write Chinese Script is a good place to start. Tuttle’s Reading and Writing Chinese will get you even further. You’re probably already realizing the immensity of the task at hand. Visiting China in 10 days puts you on a major time-crunch. Even with distances shrinking thanks to high-speed rail, they’re still large; travelling between many of best places to visit in China isn’t always quick or easy. Tackling China with such constraints is bound to require a judgement call. For this 10-day China itinerary, I’ve chosen to focus on a couple of the most popular destinations for first-time visitors to China. These places will familiarize you with China and give you a good overview of what to expect. With these first 10 days in China under your belt (if you enjoy yourself, of course! ), you can also return to focus on less obvious, yet immensely interesting regions, like Yunnan, Sichuan, Guangdong or Guangxi. The cultural heart of the nation beats in Beijing. There’s no better place to launch your China itinerary than than the Chinese capital where both the country’s illustrious past and modern trappings collide in grand fashion. Truthfully, you could spend your entire 10-day trip to China exploring Beijing and its environs without ever getting bored. For this itinerary, spend at least 4 days in Beijing for an unforgettable introduction to China before moving beyond the capital. In a city brimming with imperial palaces, ancient temples, and museums, it’s no surprise that there’s a staggering number of things to do in Beijing awaiting the curious traveller. And the usual tourist sites are just the half of it. Beijing is simply a place that’s worthy of exploring whether or not you stick to an itinerary. Wandering about you’ll revel in the city’s simpler pleasures whether its chowing down on a mouth-watering street-side snack or stumbling into one of Beijing’s beautiful hutongs as the smell of incense fills your nostrils. Whether you’ve got one day in Beijing or a week, your first stop in the Chinese capital should be the Forbidden City. 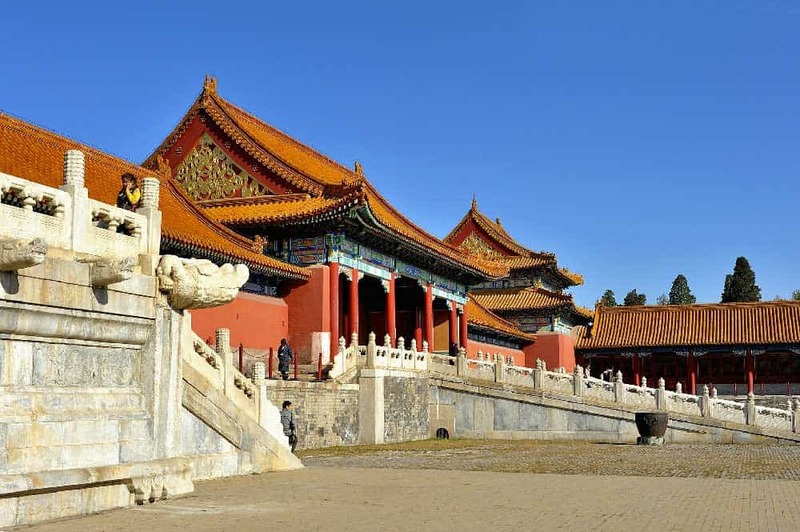 Now known as the Palace Museum, the Forbidden City is the world’s largest ancient palace complex, spreading out over 180 acres in the centre of Beijing. The sheer immensity of the Forbidden City is barely comprehensible until you enter into its recesses. With almost a thousand buildings in its midst—consisting of various palaces, halls, and temples designed with stunning classic Chinese architectural traditions—wandering around the Palace Museum is unforgettable, and will no doubt be the highlight of your trip to Beijing. To get the most out of your visit, I’d recommend booking a Forbidden City Tour. With a licensed guide you’ll not only get to skip the line (and with 15 million annual visitors, you can guess this line isn’t small! ), but you’ll get the inside scoop on what you’re seeing. Want to experience the best of the Forbidden City? Hop onto a Forbidden City Tour! The half-day tour includes all entrance fees and a professional tour guide to show you around the Palace Museum. The tour also visits Tiananmen Square and Jinshan Park. Like the Forbidden City, the Summer Palace is one of those grand moments in Beijing (and there are many!) that’s got the power to leave you speechless. This stunning imperial park, located about 15 kilometres from central Beijing, dates back to 1750 when it was built as a relaxing getaway for the royal family. Much of what you see today at the Summer Palace swings back to the early-20th century when the palace was rebuilt in face of foreign belligerents who handed it a devastating blow. Walking about the Summer Palace, you’ll encounter some of the best living examples of traditional Chinese architecture and landscaping in the country. Whether strolling through its wonderfully manicured gardens or marvelling at its palaces, halls, pavilions, and temples alongside Kunming Lake, a visit here is a must. To experience the full breadth of the Summer Palace, you’ll need at least 2-3 relaxing hours here plus transit time from downtown. When the thought of visiting China pops into your head, images of the Great Wall of China almost immediately pops up. Visiting this grand monument is, along with a handful of places like the Great Pyramids or Petra, truly one of the few absolute must-sees in the world. And since you’re in China, well, it becomes hardly optional! With over 21,000 kilometres spread throughout the country in a somewhat haphazard fashion, it’s hardly slim-pickin’s for checking out the Great Wall of China. Fortunately, some of the best sections of the wall reside close to Beijing. For travellers, the most popular section around Beijing is the Badaling Great Wall. 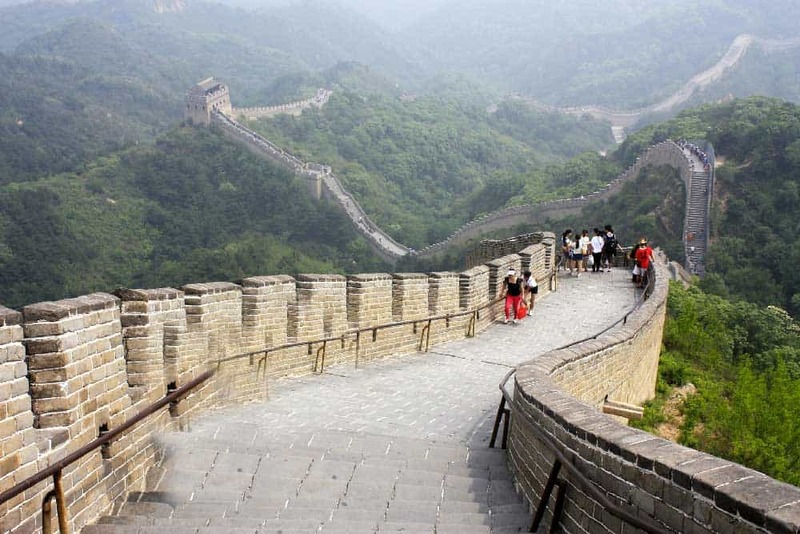 Not only is Badaling one of the better preserved sections of the wall, it’s one of the most accessible. It’s easy to reach by public transportation and features accessibility improvements such as handrails. As you’d image, Badaling can get a little crowded at times, especially during local holidays. For a quieter alternative near Beijing, visit the Great Wall at Mutianyu. The views aren’t quite as impressive as Badaling, but it’s nowhere near as busy. 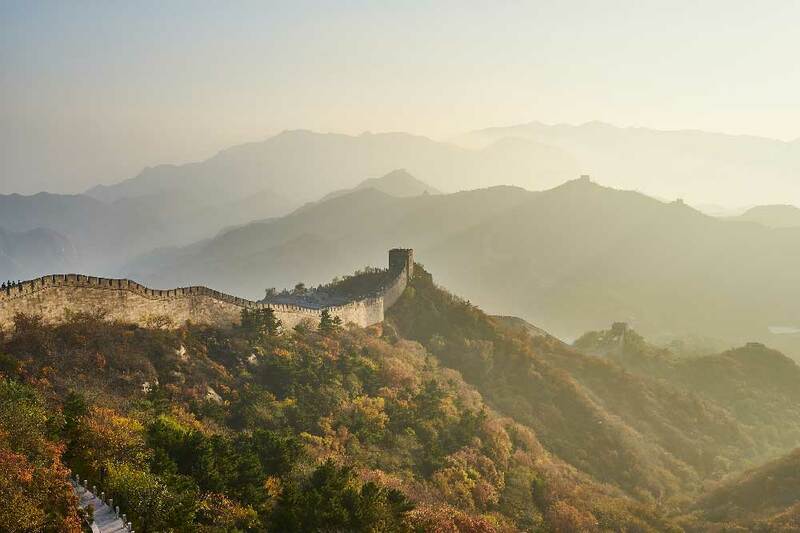 Looking to take the hassle out of visiting the Great Wall of China? Book yourself onto a Badaling Great Wall Half-Day Tour or Mutianyu Great Wall Tour! Both tours include hotel pick-up and drop-off, a professional tour guide, and Great Wall entrance fees. 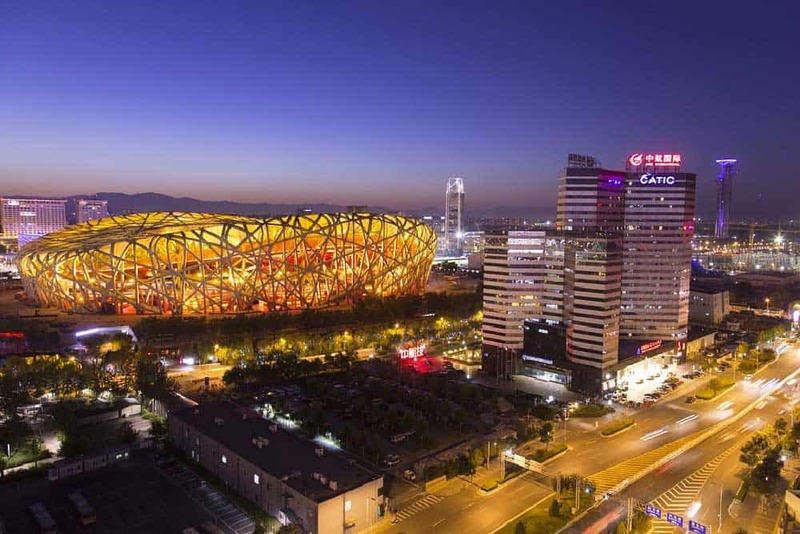 As you’d imagine, choosing where to stay in Beijing isn’t always an easy task. The Chinese capital sprawls over what seems like an endless horizon with hundred of hotels grasping for your attention. Peking Station Hostel: A lovely central guesthouse/hostel located in a traditional Beijing hutong courtyard. Both dorms and private rooms with ensuite bathrooms are offered. Hotel Cote Cour Beijing: A surprisingly quiet modern hotel set in a classic hutong courtyard, sprinkled with traditional Chinese elements, in the centre of the city. Rooms are colourful and big by Asian standards. The rooftop terrace is a brilliant touch. The Peninsula Beijing: Quite possibly the best luxury hotel in Beijing, this incredible 5-star fuses traditional Chinese and contemporary styles for an elegance unparalleled in the city. The suite-style rooms are expansive and chock-loaded with luxurious modern amenities. Extras like three on-site delectable restaurants and a relaxing spa & wellness centre round out the offerings. By air: Beijing is served by Beijing Capital International Airport (PEK). Several major airlines fly to PEK from international departure cities including Air China, China Eastern Airlines, China Southern Airlines, and Hainan Airlines. Looking for cheap flights to Beijing? I’d recommend searching for airfare deals on CheapOAir! While it doesn’t have the same reputation as the other stops on this 10-day China itinerary, Pingyao might well turn out to be the unexpected highlight of your trip. This ancient walled town is one of the country’s best preserved, charming with atmospheric laneways lined with traditional merchant houses and shops under the shadow of age-old fortifications. 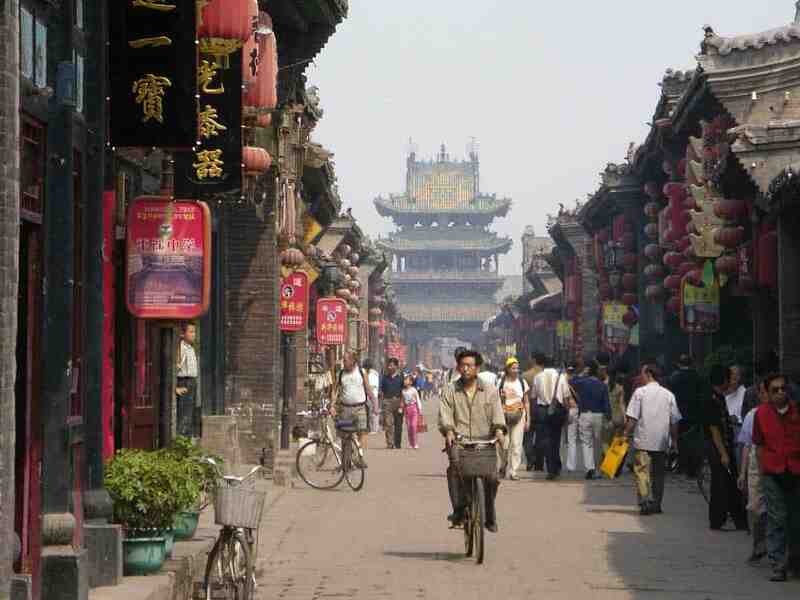 If you’ve only got 10 days in China, spend at least one day in Pingyao. Squeezing in another day will give you a chance to relax a little more and experience the town’s ancient charms more casually including attractions slightly further afoot like Zhenguo Temple and Shuanglin Temple. 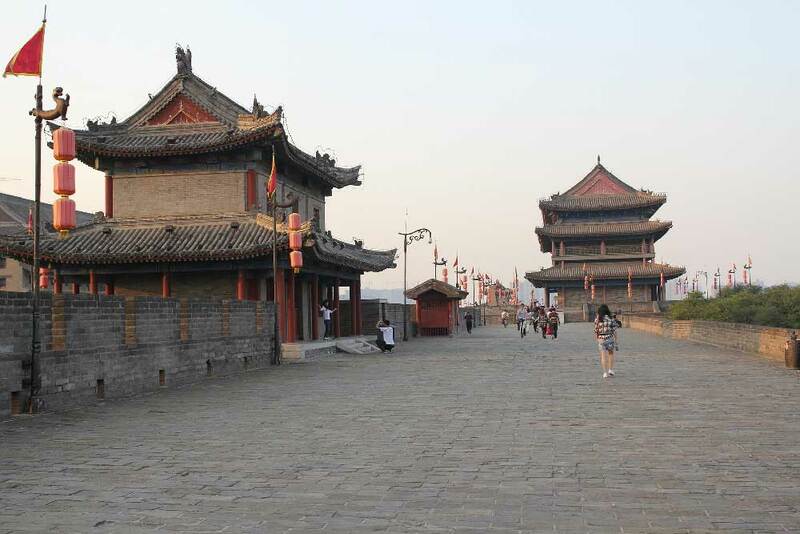 Most of the best things to do in Pingyao revolve around its lovely Ancient City. Unlike many of China’s “old” towns, Pingyao is the real deal. This town isn’t simply a cheesy reconstruction, but an authentic living city, filled with some 30,000 citizens, motoring on much in the way it has for centuries. There’s no better place to begin exploring Pingyao than at its Ancient City Wall. Built about 2,700 years ago, these city walls dazzle with their immense size and historical importances. Along the six-kilometre stretch, six gates open up to the old town’s interior, two each on the eastern and western walls and a single gate from both the north and south. Exactly 72 watchtowers, said to represent the 72 disciples of Confucius, are spread every 50 to 100 metres along the structure. The best way to experience the Ancient City Wall is to stroll or cycle leisurely along it to take in the stunning panoramic scenes of both the old town below and its surroundings. Once you’ve witnessed the allure of Pingyao Ancient City from above, soak in the views from below with a stroll along Ancient Ming-Qing Street. Along this 750-metre stretch, over one hundred small shops, restaurants, cafés, and museums occupy the street’s ancient merchant houses, seeming displaced from centuries past. Pounding through the entire length of Ancient Ming-Qing Street will take at least one to two hours at a relaxed pace. Be sure to pop into shops and taste some of the local delicacies to get a better feel for Pingyao. Even if it weren’t designated as a UNESCO World Heritage Site, the vast 8,361-square-metre Pingyao Confucian Temple would be worthy of a mention among some of the top attractions in China. This complex is among the best-preserved Confucian temples in the country, beaming its 12th-century Jin Dynasty good looks off to the world. The Pingyao Confucian Temple’s claim to fame was as one of China’s most important Confucian academies where ambitious young fellows would sit their imperial state exams. There’s a huge exhibition dedicated to it, but other attractions within the grounds like the International Photography Museum of Pingyao might prove more interesting to most travellers. Pingyao Jin Tai Sheng Inn: A stunning hotel built in a 400-year-old Qing Dynasty courtyard in the centre of Pingyao Ancient City. Rooms are clean and adorned with beautiful traditional Chinese elements. Xingchengjiu Hotel Pingyao:Get whisked back in time when you step into the ancient courtyard of this pristine classic Chinese accommodations experience. Located just blocks away from some of the city’s top attraction, this incredible hotel fits with the city’s ancient vibe inside and out. Chengruihan Hotel Pingyao: In any other city on this, this charming hotel and its jaw-dropping stone building would be a landmark on its own. Of course, in Pingyao, it’s all just par for the course. Either way, with its rich wooden lattice work and classic Oriental courtyard design, this gorgeous hotel will turn some heads. By train: You gotta love China’s commitment to improve rail travel, especially when it cuts travel times around the country as dramatically as this. Thanks to the new high-speed train line, the once 9-hour train ride between Beijing and Pingyao take just over 4 hours now. The most convenient departure for travellers is at 7:46am from Beijing arriving at 12:08 in Pingyao. The cost of the train is either 183 yuan (second class) or 254.5 yuan (first class). 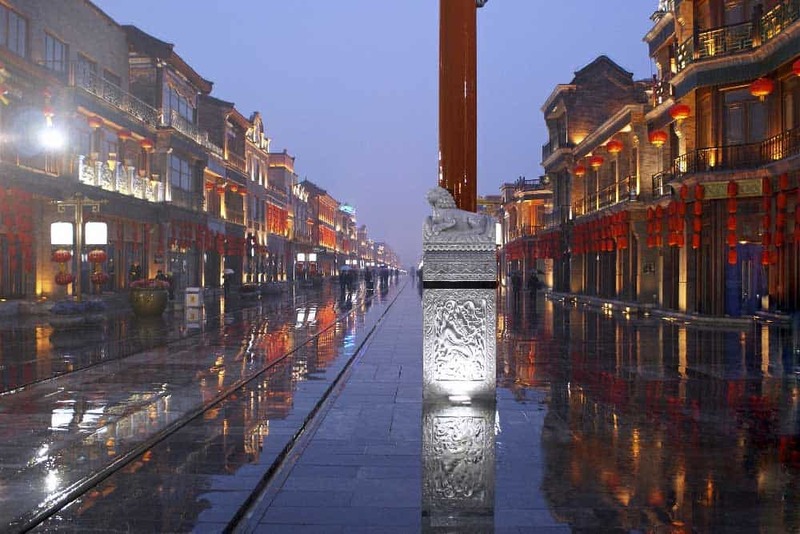 Along with Beijing, the ancient city of Xi’an is one of those few must-see stops on every first-time trip to China. Although intensely famous for its mysterious Terracotta Warriors, Xi’an isn’t a one-trick pony. This former Silk Route city impresses with an immensely deep culture palette, digging into more than three millennia of watching dynasties come and go. For this 10-day China itinerary, you should set aside at least two days for Xi’an. That is, of course, cutting it tight. With the leisure of a few more days to tack onto your trip, Xi’an is a good place to hit the pause button. There’s plenty to experience here; don’t hesitate to stick around longer than prescribed. Knowing even a fraction of its history, it’s hardly a surprise that there’s a barrage of awesome things to do in Xi’an. Certainly more than enough to keep you occupied for several days. Here are a few good places to start planning out your Xi’an itinerary. Undoubtedly the biggest drawcard in Xi’an, the Terracotta Army is somewhat of a touchy subject. 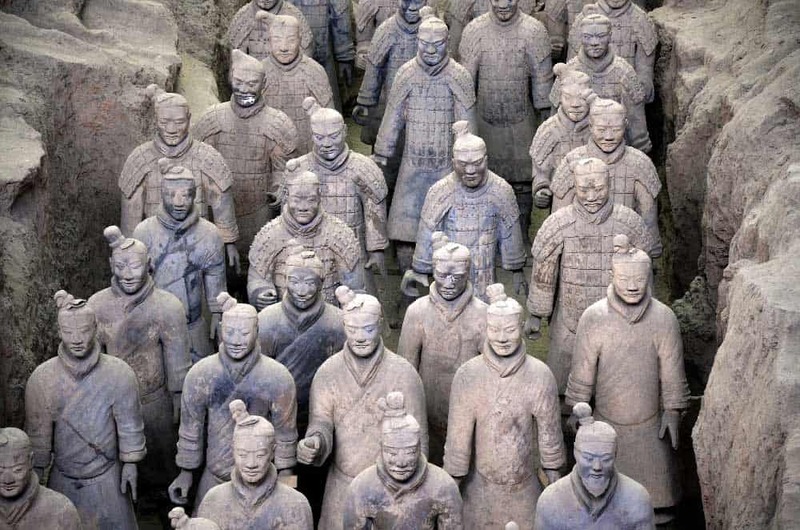 Some travellers love this giant collection of battle-ready soldiers, carved in terracotta as a final send-off to Imperial China’s first emperor, Qin Shi Huang. Others are simply underwhelmed by them. Either way, no trip to Xi’an is complete without a visit here. At the Terracotta Army archeological site, considered by many as one of the greatest in the world, over 6,000 sculptures has been unearthed since the first discovery in 1974. Only about a third of these warriors are currently on display. From the minute you dip your toes in Xi’an, there’s little escaping the immensity of its most popular landmark, Xi’an City Wall. Dating back to the Ming Dynasty, these ancient city walls are the best preserved of any in the whole country. As aesthetically pleasing as the Xi’an City Wall is, it’s easy to tell that these fortifications meant business. Affixed with watchtowers, parapets, and gates and surrounded by a moat (replete with a drawbridge that’d make medieval knights blush), the Xi’an City Wall provided remarkable defense for the inner city. The fact that they’re still standing centuries later only proves it! Plying along the entire 14 kilometre stretch of the wall is a wonderful introduction to the city. Access to the Xi’an City Wall costs 45 yuan. If you want to get around a little quicker, renting a bicycle (about 40 yuan for 90 minutes) is another fun way to scope out the city from the wall. Xi’an Silk Road history comes fully to the fore in its Muslim Quarter. Spread over several blocks, the Muslim Quarter of Xi’an is home to a vast majority of the city’s Muslim population. The area teems with mosques, markets, and halal restaurants, making for an interesting cultural detour on your China itinerary. If you’re already growing weary of Chinese food, the Muslim Quarter is a great place to throw a little variety towards your tastebuds. Let your mouth water with Muslim and Shaanxi specialities like yangrou paomo (lamb stew with unleavened bread), rouchuan (meat skewers) and jiasan (steamed buns filled with meat and soup broth). PuSu Jade Boutique Hotel: Set beside the old city wall of Xi’an, this delightful boutique hotel unloads an accommodations experience like none other the city. Rustic natural wood headboards, shelves, and floors are accented by nature-inspired design elements for a wholly unique look. Eastern House Boutique Hotel: Another brilliant boutique hotel in the centre of town pulling out all the stops with an ultra-sleek modern design. Xi’an City Wall is just a five-minute walk away. Sofitel Legend People’s Grand Hotel Xi’an: A luxury oasis in the centre of Xi’an, this palace-like 5-star hotel charms with an age-old European grace spun with a classic Oriental vibe. From the relaxing on-site spa to the park-view indoor pool, there’s nothing about this grand hotel you won’t love. 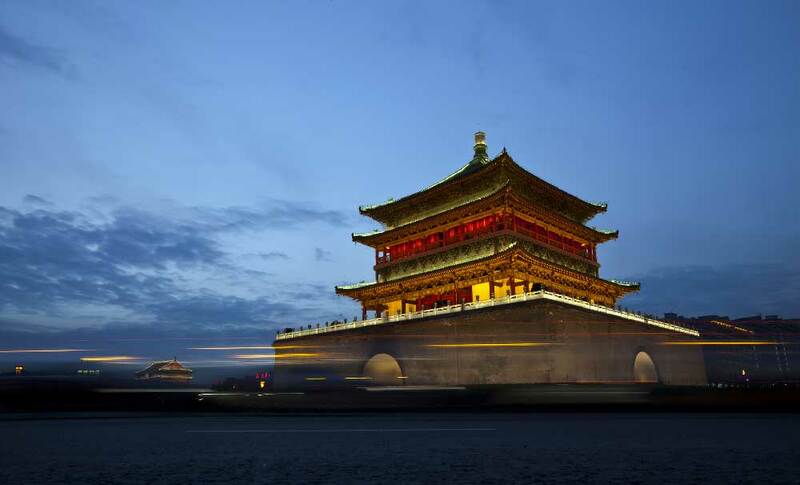 By train: Once again, China’s high-speed train swoops in to save the day by making it possible to more comfortably fit Xi’an into a 10-day China itinerary along with lesser-known destinations like Pingyao. The regular 8.5- to 10.5-hour journey between Pingyao and Xi’an clocks in at between 2h40m to 3h8m. Tickets are 150 yuan (second class), 187.5 yuan (first class), or 450 yuan (business class). No city exudes the soul of modern China quite like Shanghai, the country’s biggest metropolis and truly one of the world’s most compelling cities. For travellers seeking that inescapable Asian city buzz, Shanghai’s the best place to get it in the Middle Kingdom. On a 10-day China itinerary, I’d recommend spending at least three days in Shanghai—including at least one day set aside for getting outside of the city. Not everyone will agree with this recommendation: Shanghai can certainly be a polarizing city of the love-it-or-hate-it variety. With the wide range of quality accommodations and endless opportunities for discovery though, I think it’s a great place to dig in your heels. Like any city with such grand enormousness, there’s a whole metric ton of things to do in Shanghai. Much of the pleasure of visiting Shanghai though is simply letting your schedule fall by the wayside and letting the city unfold as it may. 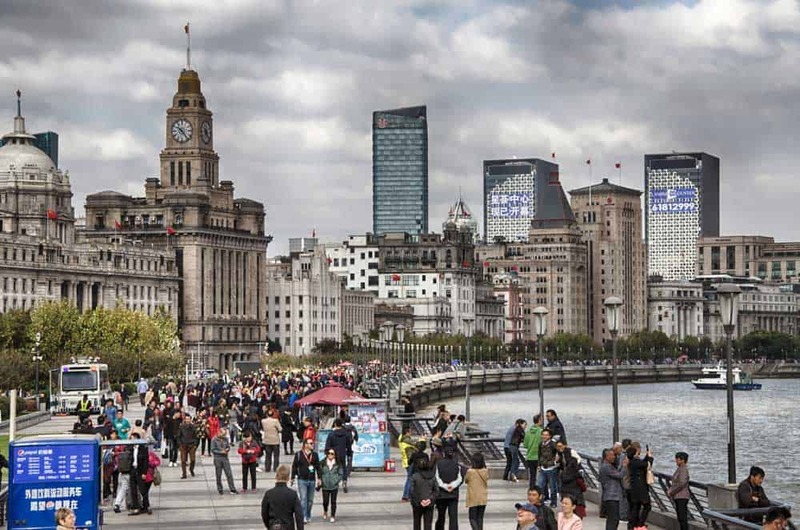 Even if you’ve only got one day in Shanghai, start your morning with a stroll along The Bund. Stretching along the western bank of the Huangpu River, Shanghai’s famous waterfront development is popular for being almost entirely the opposite of what one would expect in China. Unlike the traditional Chinese stylings of Xi’an’s City Wall or Forbidden City in Beijing, The Bund in Shanghai dabbles in the Baroque, Renaissance, and Gothic architectural legacy left over from the city’s complicated brushings with the European colonial powers. Besides soaking in the Western-tinged atmosphere, The Bund fires up the city’s best views of the futuristic Pudong skyline across the Huangpu River. Visit after the sun goes down for a Vegas-esque light show that will energize your evening. With many of city’s ancient corners long gone, one of the easiest places to take in the air of Shanghai’s past is at Yuyuan Garden. Built during the Ming Dynasty as a private garden, Yuyuan Garden stretches about 5 acres in the centre of Shanghai, hiding ponds, bridges, pavilions, and pagodas decked out in classic Chinese architectural and landscape styles. While many travellers snake through the main bridges and the kitschy, but fun, Yuyuan Bazaar, the true beauty resides in the garden’s inner recesses (30-40 yuan). Inside are six different scenic areas—Sansui Hall, Wanhua Chamber, Dianchun Hall, Huijing Hall, Yuhua Hall, and the Inner Garden—all displaying brilliant traditional Chinese architecture, perfectly manicured flora, and ornate sculptures and carvings. With most of Shanghai’s top attractions on the western side of the Huangpu River, few head over to the city’s international business district in Pudong. Even if it’s short on the traditional Chinese charms, visiting Pudong—and in particular the upscale Lujiazui neighbourhood—is a must for your Shanghai itinerary. Among the best things to do in Pudong is getting a chance to see Shanghai from (way!) above. You’re hardly spoiled for choice around Lujiazui with every vertiginous building seemingly offering an observation deck. 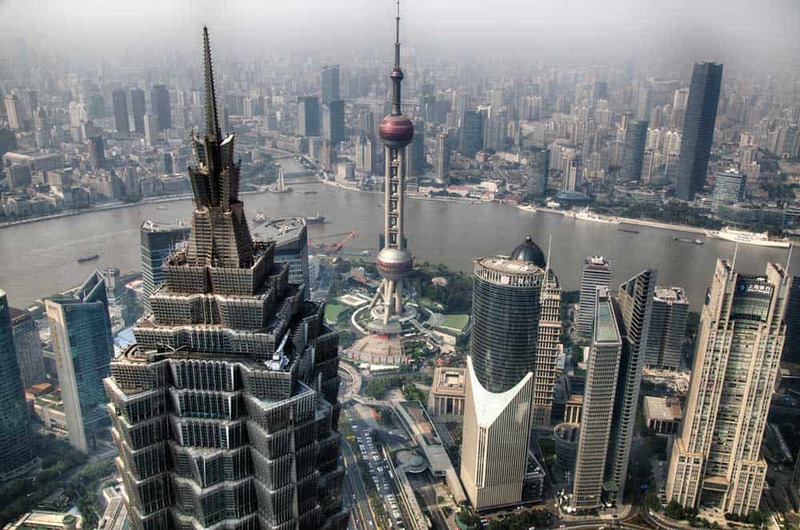 The once king of Shanghai panoramas, Oriental Pearl Tower, with its 350-metre-high observatory seems to have fallen out of favour with newcomers like the Shanghai World Financial Center (474m) and Shanghai Tower (561m) giving it a run for its money. Pick either one for some unforgettable views of one of the world’s best skylines. As China’s biggest city, wit shouldn’t be surprising that picking out where to stay in Shanghai isn’t always a walk in the park. Shanghai spreads far and wide with accommodations nestled in all its corners. 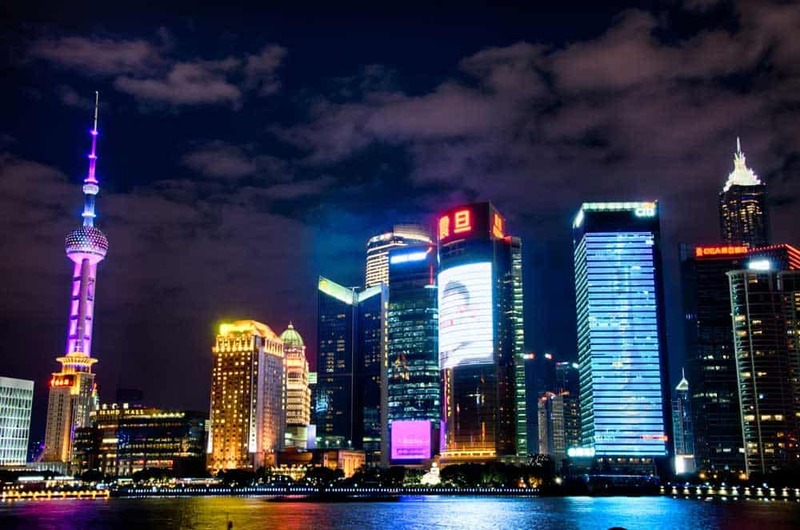 For travellers, the best areas to stay in Shanghai are those settled on the western side of Huangpu River, south of Suzhou Creek, in Huangpu District. Campanile Shanghai Bund Hotel: A lovely 3-star hotel in the heart of Shanghai that won’t break the budget. Rooms are cozy and comfortable featuring rich wooden tones and calming accent colours. The central location puts several subway stations and a handful of top Shanghai attractions within walking distance including The Bund, just 15 minutes away. SSAW Boutique Hotel Shanghai Bund: An incredible mid-range hotel that delivers spacious, well-appointed rooms within a 15-minute walk of Yuyuan Garden and The Bund. Evening city views from the rooftop terrace are simply stunning. The Peninsula Shanghai: The best luxury hotel in Shanghai set in one of the city’s most prestigious locations at the northern fringes of The Bund. Relax in your spacious and grace-endowed room to dramatic city, garden and river views or grab a nightcap at the The Compass Bar’s rooftop terrace to see what the fuss is all about. By train: Several trains depart for Shanghai from Xi’an per day. Not all are equal, and choosing the wrong one can put you onto a crash course to travel burnout thanks to the marathon distance of over 1,500 kilometres separating the cities. The fastest trains ply the route between Xi’an North and Hongqiao Station in Shanghai 9 times daily in just 6 to 7.5 hours (compared to 15-22 hours on the slow trains). High speed G train tickets cost 669.5 yuan (second class), 1,095 yuan (first class), and 2,114 yuan (business class). Lesser-known worldwide than its neighbour Shanghai, Suzhou imprints a surprisingly classic Chinese experience in an unsuspecting place. 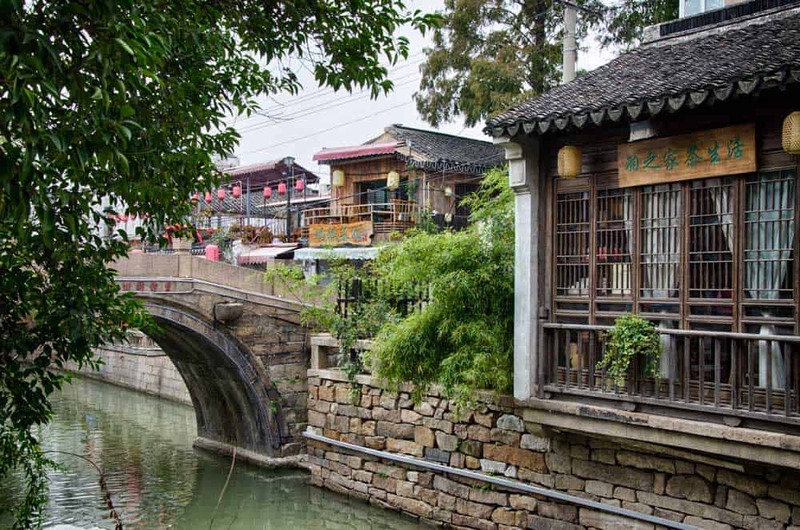 Located just 30 minutes from the big city, Suzhou is one of the best day trips from Shanghai, famous for its lovely canal-side streets and renowned classic Chinese gardens. 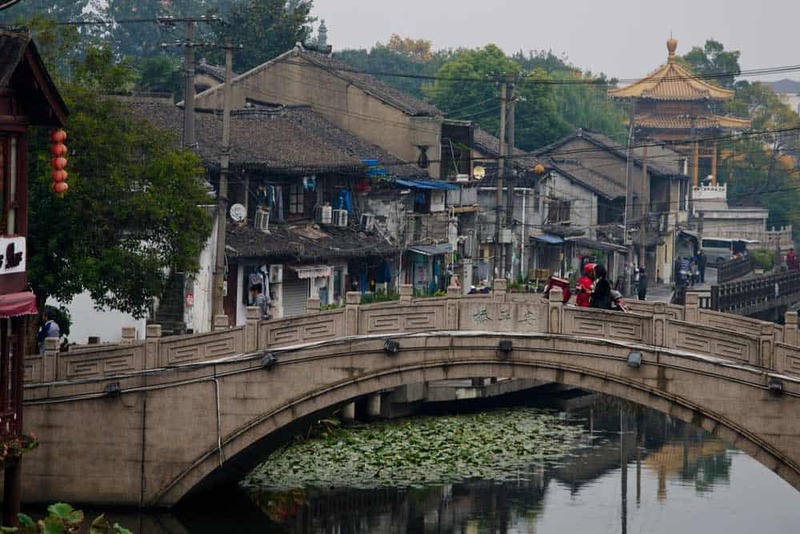 If you start your visit in the morning, you can see a ton spending one day in Suzhou. The city’s excellent transportation system, including a comprehensive metro, combined with walking makes it easy to scoot between many the major tourist sites even if you’re on a bit of a time-crunch. With beauty seemingly perched around every corner, there are plenty of things to do in Suzhou from the moment you start your day trip. While spending two days in Suzhou will give you the freedom to explore at a more leisurely pace, you should have no problem fitting in these top places to visit with limited time. 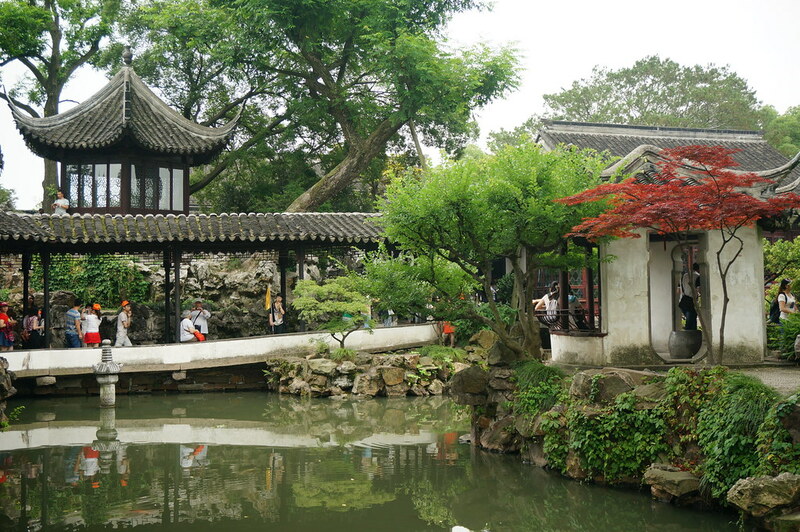 Suzhou’s most famous claim to fame is undoubtedly its gardens, and no garden in the city bolsters that reputation better than the Humble Administrator’s Garden. Spanning almost 13 acres, this massive garden features exquisite classic Chinese landscape design, unique enough to land the garden a spot as a UNESCO World Heritage Site. No easy feat indeed. Wandering through the garden, you’ll walk past ponds fringed by bridges and pavilions with weeping trees obscuring their view. Other sections of the park feel less cultivated with bamboo groves and pines pressing into stone paths that wind alongside streams. Leave yourself at least a couple hours to take in the full breadth of the Humble Administrator’s Garden. The entrance fee is just 50 yuan in low season (October 31 to April 15) or 70 yuan in high season (April 16 to October 30). From the Humble Administrator’s Garden, it’s just a short walk over to Pingjiang Road, a historical canal-side street that lays bare Suzhou’s ancient past. 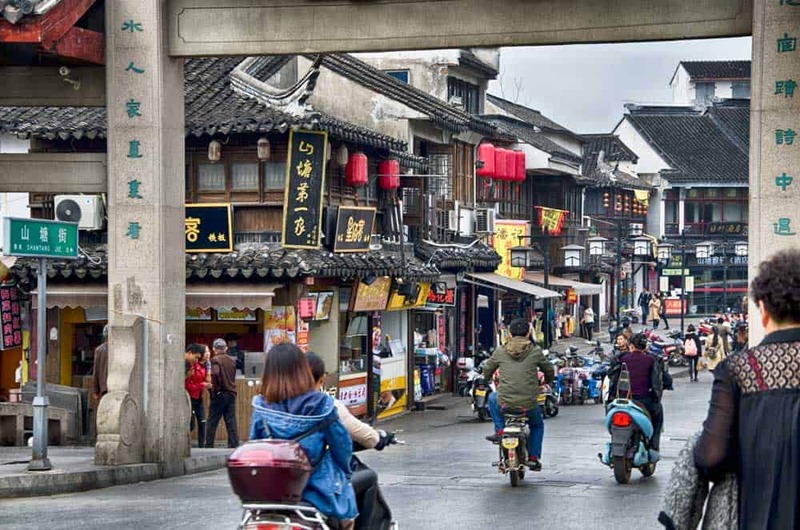 Along the stone-paved road, unfold dozens of shops, restaurants and cafés in carefully restored buildings retracing the traditional Chinese architectural legacy. Make sure your camera is charged and take time to weave onto the arched stone bridges spanning the Pingjiang River to capture the city at its best. To check out the area from a different perspective, hop onto a boat cruise and behold the charms of Suzhou as you float leisurely down the river. 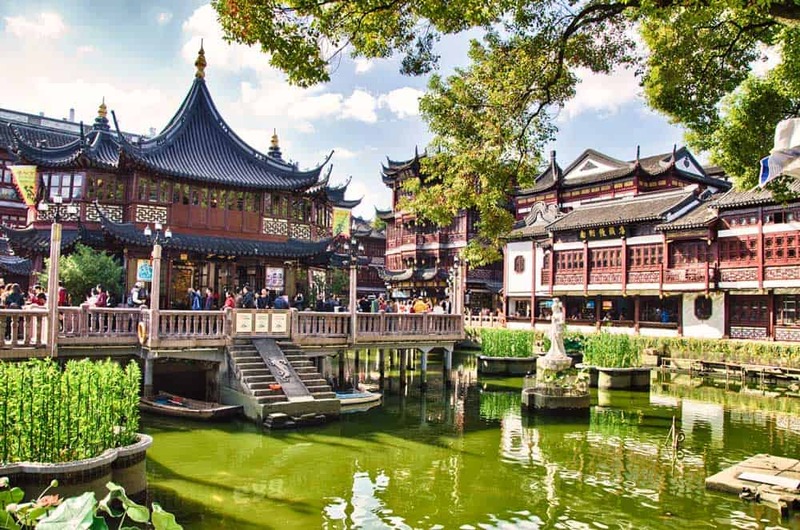 Offering yet another look at the ancient charms of Suzhou, Shantang Street is an absolute must for getting a more well-rounded picture of why this Chinese “garden” city makes for the perfect distraction from Shanghai. Sure, Shantang Street can seem a little kitschy (a Starbucks holed up in an ancient building can do that), but it doesn’t take away from the classic Chinese water-town scenes it unfolds. Like Pingjiang Road, Shantang Street is lined with beautifully restored traditional Chinese merchant houses and residences that now house innumerable cafés, restaurants, teahouses, and souvenir shops. 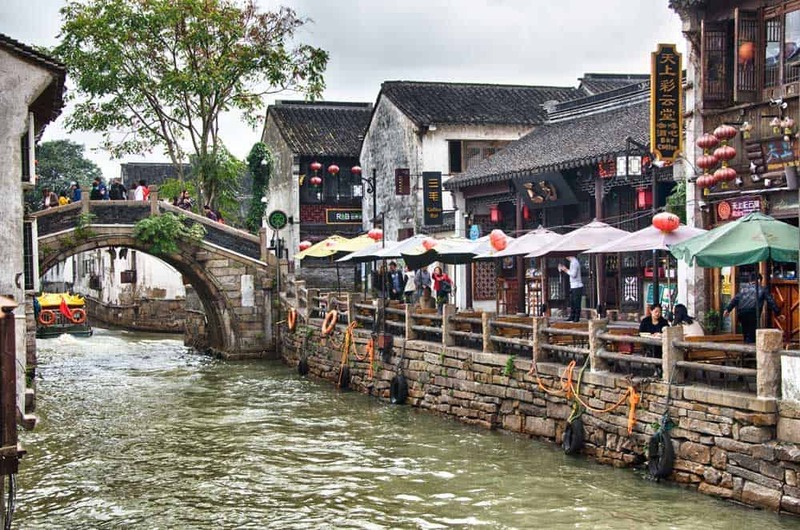 Settle down in one of the riverside restaurants, peering out at the river and its arched stone bridges for relaxing and deeply satisfying views of Suzhou’s best scenery. Pace Hotel: A modern, clean and budget-friendly hotel in the centre of the city. With less than a 5-minute walk to the closest subway station, you’ll have no trouble getting around Suzhou. Courtyard by Marriott Suzhou: A delightful mid-range hotel conveniently located next to Xinghai Square Station. Although it’s a little far removed from the attractions listed here, exploring is just a short subway ride away. Crowne Plaza Suzhou: An undeniable stylish 5-star hotel set upon the breathtaking Jinji Lake. Besides the spacious luxurious rooms with lake and city views, guests will love eating at the 5 on-site restaurants and chilling out at the relaxing spa. By train: High-speed trains run constantly throughout the day to Suzhou Station from both Shanghai Station and Hongqiao Station starting at 5:48am. The G trains take between 25 and 43 minutes depending on the route. Tickets cost 39.5 yuan (second class), 59.5 yuan (first class), and 121.5 yuan (business class). Got a little more time to spare? Rather than adding more destinations, add more time to some of the destinations to explore at a more leisurely pace. 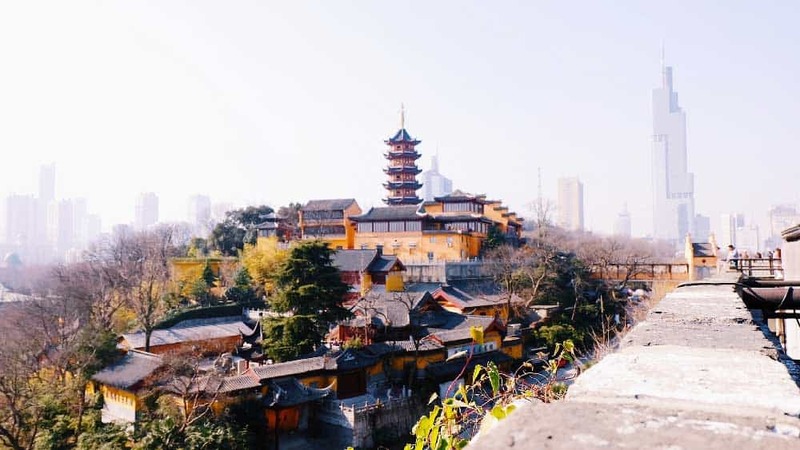 Extra time in Xi’an will allow more time to take in its cultural treasures while adding a day or two in Shanghai will let you tackle some of the best day trips from Shanghai including water towns like Tongli or interesting nearby cities like Nanjing and Hangzhou. Craving some delicious Chinese food? From Xi’an, swing over to Chendgu in Sichuan instead of Shanghai to let your tastebuds devour its fiery cuisine, some of the most renowned in China. Got a little while longer in China? Head south towards the Pearl River Delta and spend some time in Guangdong and the former British colony and world financial centre of Hong Kong. Get started exploring with this complete guide for one day in Hong Kong and this guide for where to stay in Guangzhou.